The skeletons of an allosaurus and a diplodocus are up for auction in Paris this week, marketed as hip interior design objects -- for those with big enough living rooms. 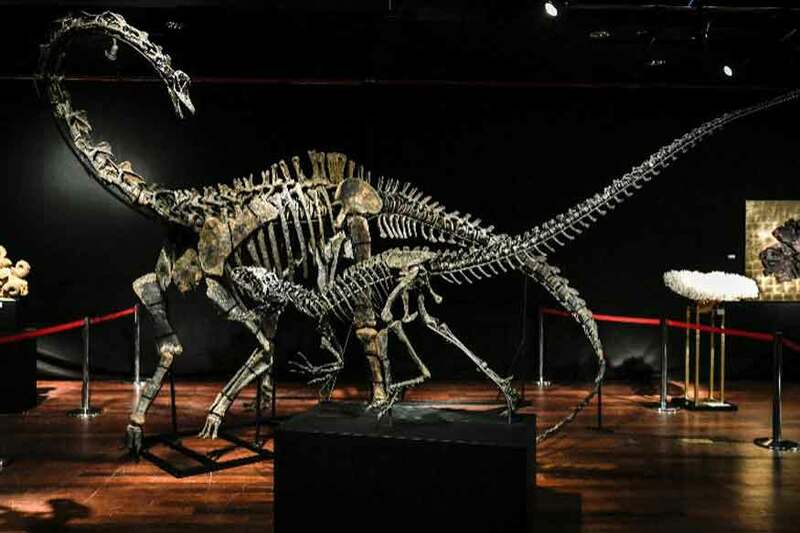 "Dinosaurs have become cool, trendy -- real objects of decoration, like paintings," the Italian expert told AFP, citing Hollywood actors Leonardo DiCaprio and Nicolas Cage as fans of such outsize prehistoric ornaments. In 1997, McDonald's and Walt Disney were among donors stumping up $8.36 million to buy Sue -- the most complete and best preserved Tyrannosaurus rex ever found -- for the Field Museum of Natural History in Chicago. It is expected to fetch up to 650,000 euros, while the diplodocus -- despite being bigger at 12 metres long from nose to tail -- has a guide price of 450,000 to 500,000 euros.